Sitting just outside of Gwangju, in South Korea’s southwestern corner, is the small town of Damyang. The town itself would be fairly indistinguishable from the myriad of other small Korean villages except for a small corner of the town featuring towering bamboo stalks, some reaching over 20 meters tall. The Damyang Bamboo Forest, or Juknokwon (죽녹원) as it’s known in Korean, is a 25 acre complex full of hiking trails, man-made waterfalls, and, of course, bamboo. After a brief climb both before and after the ticket booth, you’ll find yourself in a large open area with a relaxing pavilion that overlooks the city. Near the entrance area to the park, expect crowds. 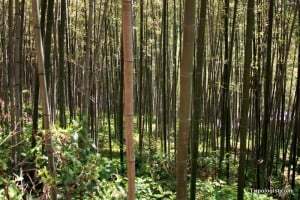 However, while you will be far from the only person visiting the forest, the calming effect of the bamboo blowing in the wind is enough to clam even the most stressed Seoulite. As you make your way along the forest’s paths, you will encounter several signposts indicating famous Korean movies and television shows that have used the forest as a set. There is even one signpost that talks about the visit of a former Korean President. You will also pass many benches, waterfalls, and even a few cute panda statues. 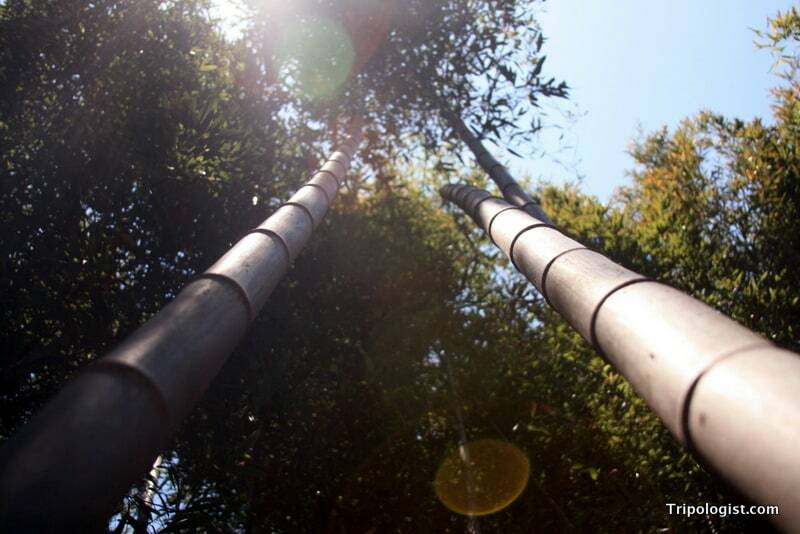 Once you find your way to the backside of the park, the crowds thin out, allowing you to enjoy a few quiet and peaceful moments alone with the swaying bamboo. 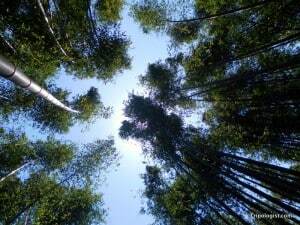 Walking through a bamboo forest can be very relaxing. Before you leave the park, make sure take a peek in the two-story cafe and gift shop located inside the forest. Not only can you find some fantastic bamboo toys and kitchen supplies, but you can also try bamboo ice cream, wine, or tea. I highly recommend the ice cream as it’s quite tasty. If you are hungry, make sure to try daetongbap (대통밥) at one of the many restaurants close to the forest. Featuring rice and various nuts cooked inside a bamboo stalk, you also get about 20 different side dishes to accompany your meal. If you are looking for a unique souvenir from Damyang, you can even take the bamboo that your rice was cooked in. The bamboo forest is easily one of the most fun and enchanting places I’ve visited in South Korea, and I would highly recommend a visit to anyone looking for some quite amidst the chaos. Touring the bamboo forest takes only 1-2 hours, so it could easily be combined with a trip to the Boseong Green Tea Fields for a great weekend trip. 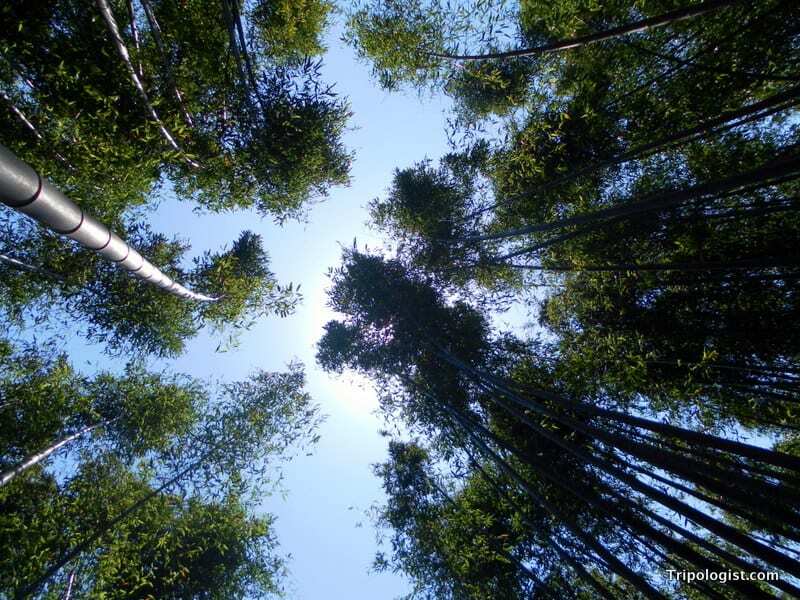 Look up through the bamboo at the Juk Nok Won Bamboo Forest in Damyang, South Korea. 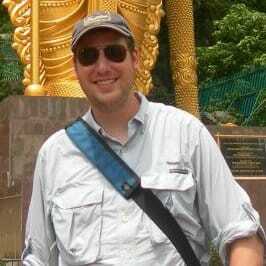 To get to the Damyang Bamboo Forest, take a bus or train to Gwangju, a large city 30 minutes south of Damyang. From either the bus or train station, take local bus 311 to the park. Tell the bus driver you want to go to “Juknokwon” and he will tell you how much to pay (about 2,000 Won) and make sure you get off at the right spot. It is also possible to get a bus directly to Damyang from the Central City Bus Terminal in Seoul at 10:10am, and 4:10pm. From the Damyang Bus Terminal, you can take bus 303 or 311 to the forest. If you take the afternoon bus from Seoul to Damyang, you will have to spend the night in the area because you will arrive after the park has closed. The hotel options in Damyang are limited, so if you are planning on spending the night, I would recommend heading to Gwangju for a better selection of hotels. 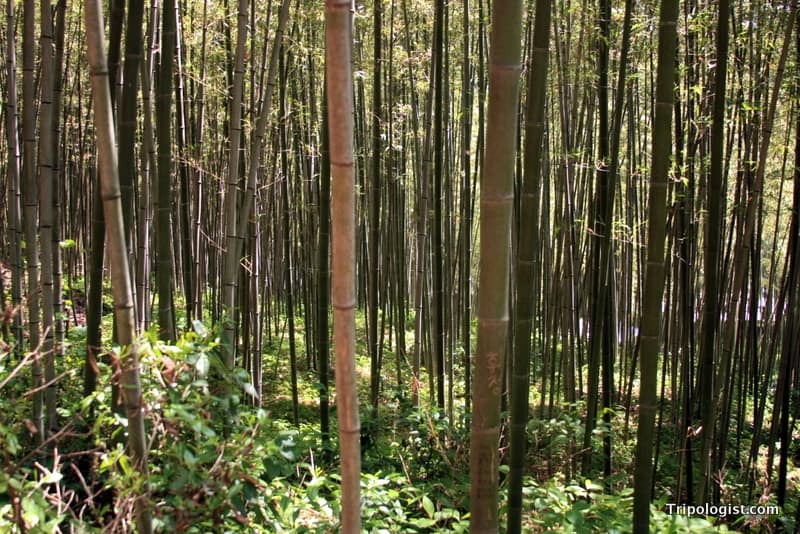 The bamboo forest sounds like a nice adventure. The bamboo ice cream is pretty good. The tea and the wine are certainly interesting and worth trying. Thanks for the comment. I agree: There’s nothing more relaxing than the sound of bamboo when hit by the wind. I can’t explain why it’s so soothing…it just is. I would love to visit this place to recharge my batteries and find some inspiration!